The Russian lawyer for Paul Whelan, the former U.S. Marine held on espionage charges in Russia, has said Whelan had materials considered “state secrets” on him when he was detained by Russian intelligence officers, but said he had been given them without his knowledge. Following the hearing, Whelan’s court-appointed lawyer, Vladimir Zherebenkov, told reporters that during Whelan’s arrest a flash drive with “state secrets” had been found on him. The lawyer, however, said that Whelan had been unaware the classified material was on it, saying he had thought it only contained holiday photos and tourism-related files. “The one thing that I can confirm is there there was information constituting state secrets,” Zherebenkov said. “In reality, Paul should have received from an individual information which is not a state secret — it’s cultural things, a visit to one church. That is Paul’s holiday, photos,” Zherebenkov said. The lawyer said Whelan had been given the files by an individual but refused to say who. Officers from Russia’s Federal Security Service (FSB) arrested Whelan in his hotel room with the classified material, Zherebenkov said. It not clear if Whelan himself accepts his lawyer’s position that he was found with classified information. 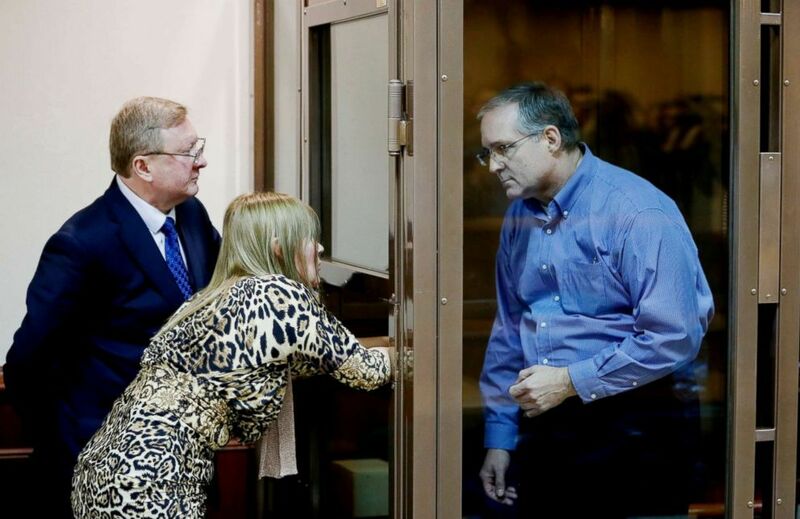 Suspected spy Paul Whelan, right, and his lawyer Vladimir Zherebenkov during a hearing of an appeal on his arrest at the Moscow City Court in Moscow, Jan. 22, 2019. The version described by Zherebenkov immediately raised the question of whether Whelan could have been set up. But the lawyer refused to say Whelan could have been framed and declined to explain how the files Whelan had been expecting could have been replaced or why a person would have wanted to give him unsolicited classified files. “I am not using the word ‘setup’,” Zherebenkov said. He also categorically rejected a suggestion that Whelan’s case could be politically-motivated. “Absolutely not,” he told reporters. The court on Tuesday rejected a request that Whelan be released on bail, ruling that he remain in Moscow’s Lefortovo prison awaiting trial until at least 28 Feb. The lawyer’s comments were the first formal description of what Whelan is accused of in a case where Russia has so far provided no details of the charges against him. Whelan was detained on Dec. 28 at Moscow’s upscale Metropol hotel while on a trip his family have said was to attend a wedding of an old friend from the Marines. Zherebenkov has previously said Whelan intends to plead not guilty. Zherebenkov’s statements, though, recalled anonymous allegations that appeared on a Russian news site known for its ties to Russian security services about a week after Whelan was detained. The site, Rosbalt, cited an anonymous security services source who said Whelan had been arrested in his hotel room minutes after receiving a memory card with a classified list of Russian operatives on it. The site’s source claimed a Russian acquaintance of Whelan’s had delivered the card to him. There has been no official comment on the Rosbalt reports. Last week, Russia’s foreign minister, Sergey Lavrov, said at a press conference that Whelan had been caught “red-handed” while conducting “concrete illegal activities,” but did not elaborate. 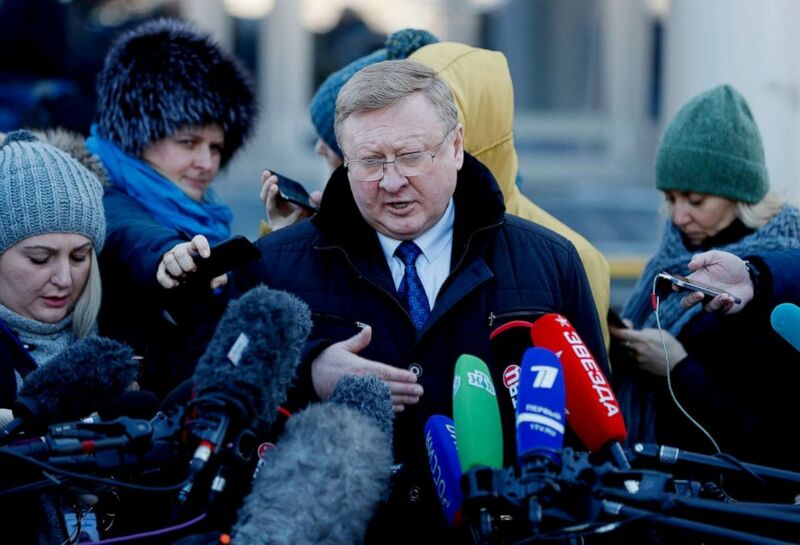 Vladimir Zherebenkov, a lawyer of suspected spy Paul Whelan, speaks to the media after a hearing of an appeal on Whelan’s arrest, in front of the Moscow City Court in Moscow, Jan. 22, 2019. Some former U.S. intelligence officials had previously suggested that Whelan could have been set up, noting his former military background and frequent trips to Russia would have made him an attractive target for Russia looking to scoop up someone they could frame as a spy. “He definitely has things about him that make the trumped-up charges against him more palatable, certainly to Russians and probably to some Americans as well,” Steven Hall, a former CIA station chief in Moscow told ABC News two weeks ago. Asked why someone would have tried to give Whelan classified information without his knowledge, Zherebenkov suggested it could be “a mistake.” Before more evidence is produced, the lawyer said, it was impossible to say what had happened. Tuesday’s hearing was the first time Whelan had been seen publicly since his arrest, when his family said he disappeared hours before his friends’ wedding ceremony. In the courtroom, Whelan stood in a glass cage, wearing a blue shirt and glasses, and did not respond to shouted questions from journalists. An officer escorting Whelan wore a camouflaged balaclava. Whelan’s lawyer on Tuesday said that he was suffering from pain in his shoulder and also a possible hernia, which they were seeking to have examined by doctors. Discharged for bad conduct from the Marines in 2008, Whelan is currently director of global security for a U.S. car-parts supplier, BorgWarner. Born in Canada to British parents, Whelan holds U.K., Irish and Canadian citizenship in addition to U.S citizenship. Whelan had previously travelled to Russia, for which he appeared to have acquired an enthusiasm, making some efforts to learn the language and also writing to ordinary Russians on social media. Former U.S. officials have said Whelan’s background, in particular his discharge from the Marines, would have made him an unlikely candidate for spy. Some experts and former American officials have suggested Whelan could have been seized in retaliation for the arrest of Maria Butina, the gun-rights activist who has pleaded guilty to acting as an unregistered Russian agent in the U.S.
Canada, the U.S. and the U.K. have all expressed concern that Whelan might have been taken as a diplomatic pawn, and have demanded that Russia provide more details on the charges against him. All four countries have sought consular access, but only U.S. and Irish diplomats have so far managed to visit him. After the hearing, Whelan’s family said it was now clear to them, “that only government action will return Paul to his family any time soon.” They called on the U.S., UK, Canada and Ireland to take “additional steps” to try to bring him home.